Earlier this year, White House regulations chief Neomi Rao drew a bright line on the limits to the administration's rule-busting zeal. Rollbacks would be pursued only when the expected gains outweighed the costs, Rao told a Senate subcommittee at an April hearing. "Deregulatory actions must result in net benefits for the public, and so agencies are eliminating only those regulations that are not working," she said. That vow is seemingly at odds, however, with her office's recent decision to clear a proposed EPA rule that would grant a partial reprieve on tougher emissions standards for new wood-fired home heating systems. The proposal would reap about $10 million annually for industry but would lead to more pollution and "forgone" health benefits amounting to at least $90 million per year on average, according to an accompanying analysis. The lopsided ratio "clearly violates" the standard Rao laid out in her April testimony, said Amit Narang, a regulatory policy advocate for Public Citizen, the liberal-leaning group founded by Ralph Nader. Cary Coglianese, a regulatory law professor at the University of Pennsylvania, cautioned that there is no hard written requirement that regulatory rollbacks produce a net upside. But he called it "very unusual" for an agency to "move forward with what appears to be a boon to the industry at the expense of everybody who has to breathe the air." Rao, who has headed the Office of Information and Regulatory Affairs since last year, is now a nominee for a seat on the powerful U.S. Court of Appeals for the District of Columbia Circuit. Her agency is part of the White House Office of Management and Budget. Press aides there did not reply to multiple emails requesting comment in recent days. The EPA proposal is part of a package published late last month targeting the tougher emissions limits adopted three years ago on new wood stoves and other wood-burning home heating appliances and systems. Those appliances can be a major source of fine particles, carbon monoxide and chemicals like benzene. "These are devices that are right in people's neighborhoods," said Janet McCabe, an Obama-era appointee who headed EPA's air office at the time. "It's very localized pollution." The 2015 update to the standards was the first in more than a quarter-century; EPA employees forecast that the stricter limits would eventually generate a minimum of $3.4 billion in yearly health savings in the form of fewer heart attacks, fewer premature deaths and other benefits. Industry compliance expenses were projected at $46 million, meaning the overall benefit-to-cost yield was at least 74-to-1. With a final May 2020 compliance date looming, however, some companies are pressing for more time. Their preferred alternative is legislation to push the existing deadline back to 2023. While a bill to that effect, H.R. 1917, passed the House in March, it has yet to get a Senate vote with only a few weeks remaining in this year's congressional session. And while the 2020 deadline is a year and a half away, some manufacturers say it's already hurting business. "Retailers are hesitant to order products that are set to expire on May 15th, 2020," the vice president of one Washington state company wrote to current air chief Bill Wehrum in a June email found in the online regulatory docket. To deal with so-called stranded inventory, EPA's draft rule would allow two types of wood-fired central heating systems — forced-air furnaces and hydronic heaters — to be sold through May 2022 even though they don't meet the final standards. A public hearing on the draft will be held Monday at agency headquarters. The $10 million in predicted annual gains would come from revenue that manufacturers and retailers would earn from increased sales. The $90 million in forgone benefits stem from the likelihood that some of the previously expected drops in illnesses and early deaths won't happen. The proposal has the backing of at least one prominent congressional Democrat. While Vermont Sen. Patrick Leahy sees no need for a rollback of the 2020 final compliance deadline, he offers support for the planned two-year "sell-through" extension. That proposed flexibility, "while holding to the higher emissions standards and timelines for newly manufactured units, can be a win" for both industry and air quality, Leahy said in a recent statement to E&E News. But EPA officials are also mulling a broader attack on the 2015 regulations. Under a separate advance notice of proposed rulemaking, also released last month, the agency is seeking public feedback on both the feasibility of meeting the 2020 deadline and whether the final emissions limits for wood stoves are "achievable at a reasonable cost." "We are very concerned," said Lisa Rector, program and policy director with Northeast States for Coordinated Air Use Management, a nonprofit coalition that includes air regulators from New York, New Jersey and the six New England states. In all of them, a 2014 EPA rundown showed that wood-burning home heating appliances were the single biggest source of particulate pollution, Rector said. "We hope that EPA will do the right thing and protect public health from this important source category, which translates into real emissions reductions," she said. 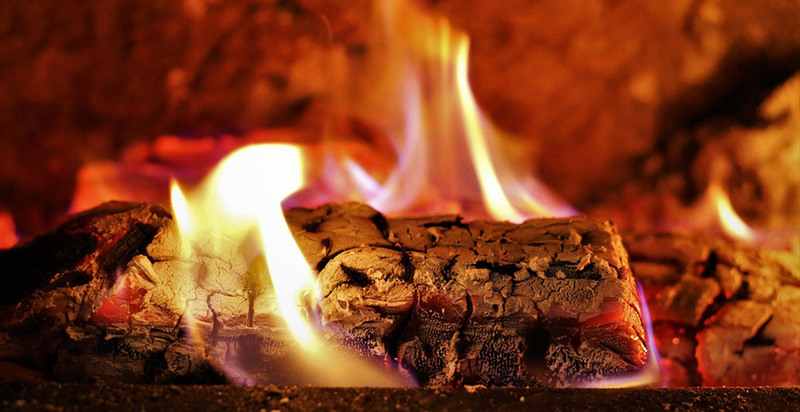 The Hearth, Patio and Barbecue Association, an industry trade group, has welcomed the proposed sell-through extension but in a news release questioned why it didn't also apply to wood and pellet stoves, "which face the same business constraints." In an email, association spokeswoman Emily McGee said the group didn't know why EPA settled on two years. EPA press staffers did not respond to requests for clarification. It is "not uncommon" for agencies to pursue rulemakings even though estimated benefits are less than costs, according to John Graham, who headed the Office of Information and Regulatory Affairs under President George W. Bush. In this instance, however, the lack of a clear explanation for the proposed two-year extension could leave EPA legally vulnerable, given that the benefits "appear to be less than the pollution-related health costs," Graham said in an email. If the final rule doesn't have a stronger "qualitative justification" or better benefit-cost comparison, he added, "a federal court might be inclined to block its implementation." Graham is now dean of Indiana University's School of Public and Environmental Affairs. The proposed rule underwent a standard review at OIRA earlier this year that lasted more than three months. Supporting records in the online docket show little evidence that OIRA staff pressed EPA to spell out the rationale for the planned extension. Rao seemed to set the bar higher at the April hearing of the Senate Homeland Security and Governmental Affairs Subcommittee on Regulatory Affairs and Federal Management. "How are you impressing upon agencies that when they are ... engaging in a deregulatory process, you expect the same kind of robust analysis that you would expect had they been proposing a new rule?" Sen. Heidi Heitkamp (D-N.D.) asked. "We've been very clear in our guidance and our interactions with the agencies that the deregulatory rules need to meet the same standards," Rao replied. "I think that's one of the reasons that some of the most significant deregulatory actions are still underway."